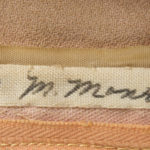 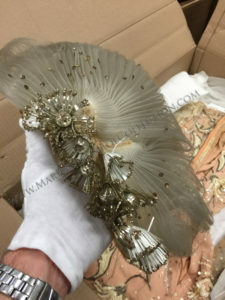 The next Marilyn Monroe costume I’ll focus on for my “behind the scenes” series of photographs for items being sold in the upcoming Julien’s Marilyn Monroe auction is the Travilla designed gown she wore in There’s No Business Like Show Business as she performed After You Get What You Want You Don’t Want It. 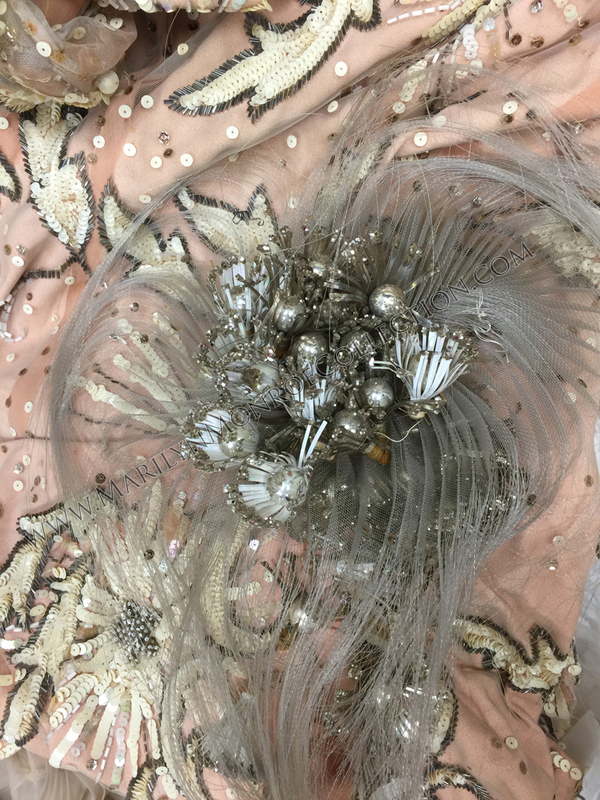 There’s just one word to describe this costume: Spectacular. 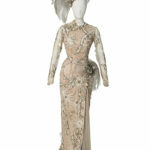 Adorned with beads and sequins, and a split that’s thigh-high, this gown is a total showstopper. 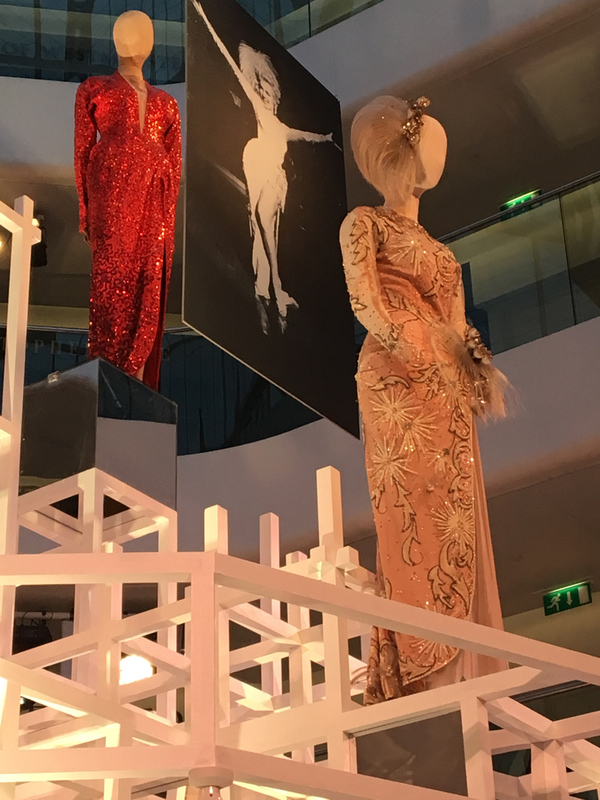 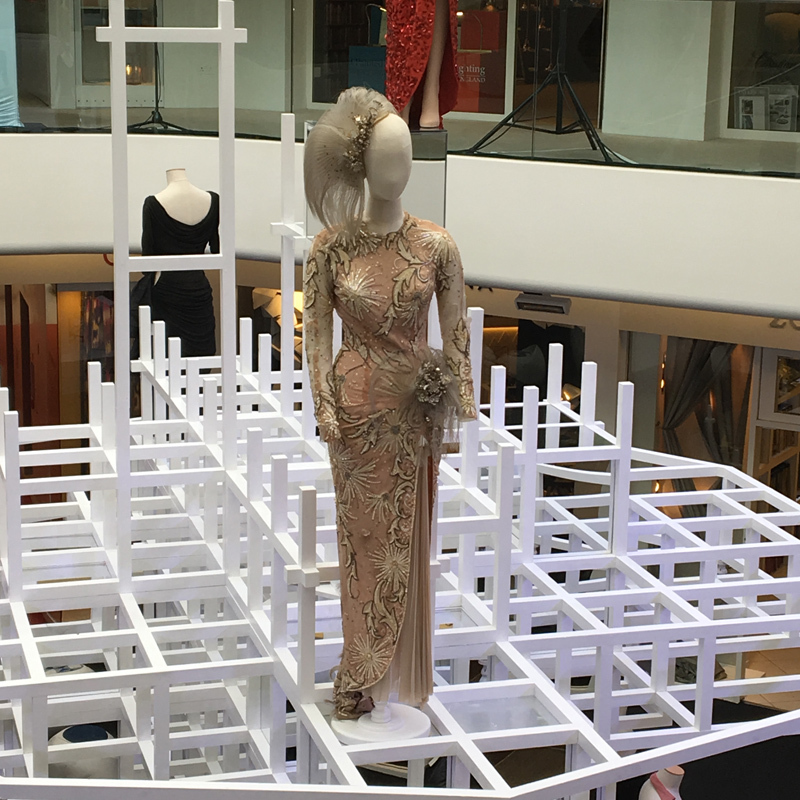 As was the case with many other Travilla designs, this gown was constructed so that Marilyn didn’t have to wear undergarments while wearing it. 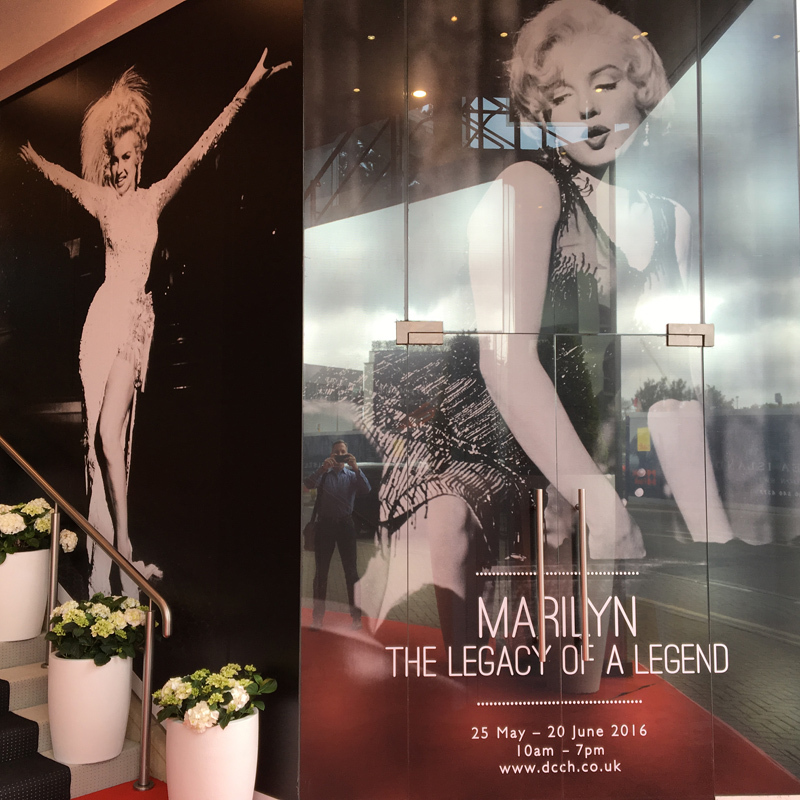 Quite simply, it’s nothing short of a masterpiece. 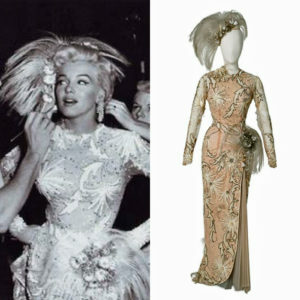 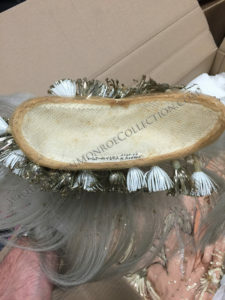 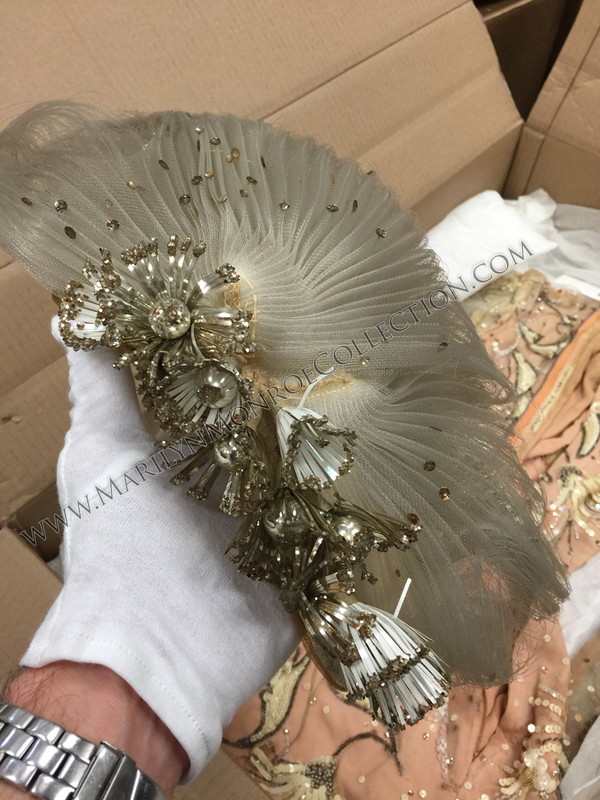 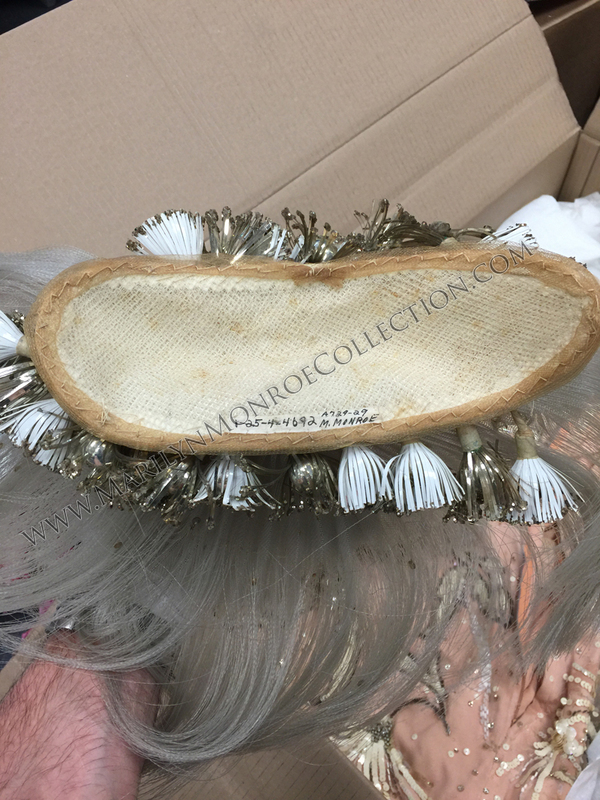 Incredibly, the original headpiece Marilyn wore in the film accompanies the gown. 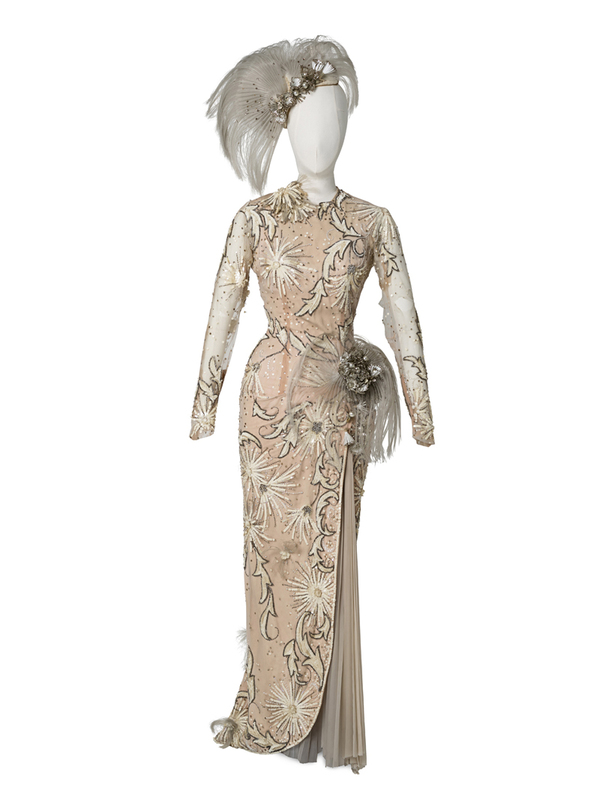 The auction catalog description for this costume: A figure-hugging embellished gown worn by Marilyn Monroe while singing “After You Get What You Want You Don’t Want It” in the musical There’s No Business Like Show Business (20th Century, 1954). 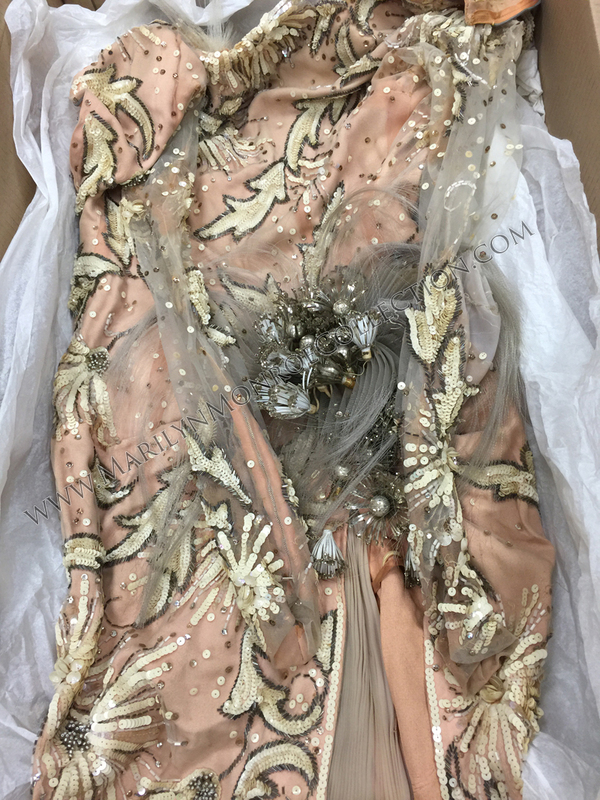 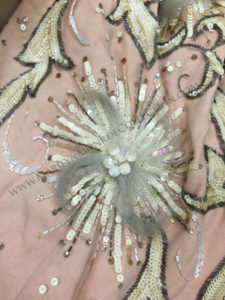 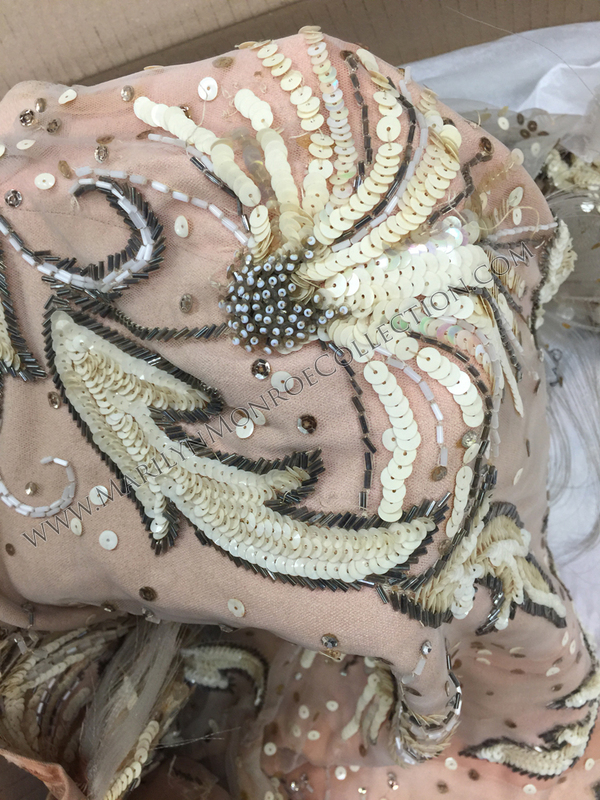 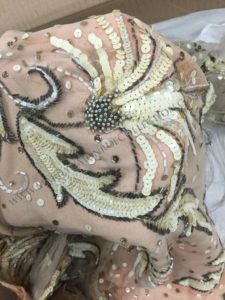 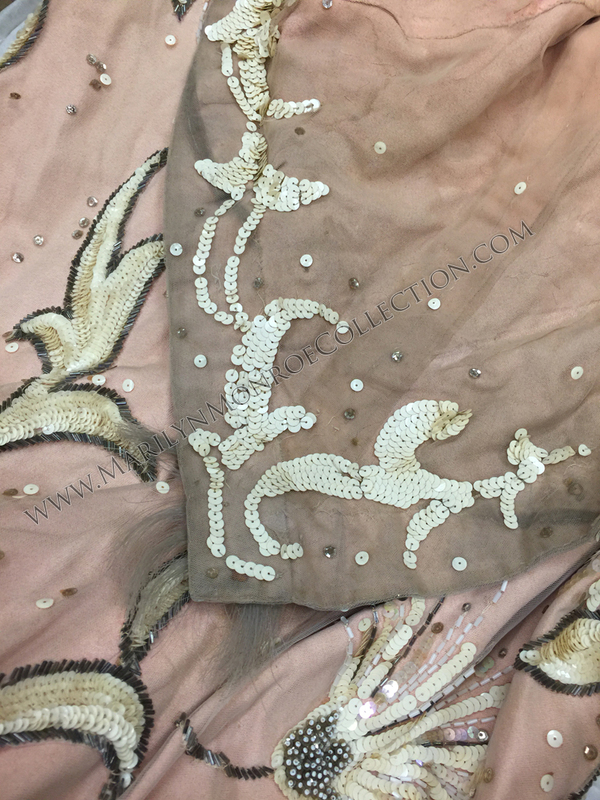 The flesh tone crepe gown has a netting overlay and is generously embellished with silver and pearlized bugle beads in a starburst and foliate motif, scattered rhinestones, bouquets of bugle beads top with sequins and seed beads, with a cluster of monofilament fiber with silver and glittering flowers to the waist-high left leg slit. 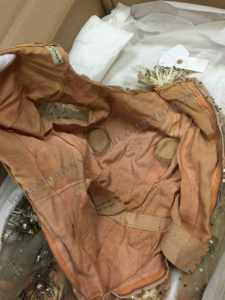 A sheer pleated vanity panel is present to the slit and was added post production for alternate filming and publicity images for release in countries that forbade such a revealing costume. Hand finishing work and a couture waistband are present to the interior. 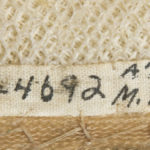 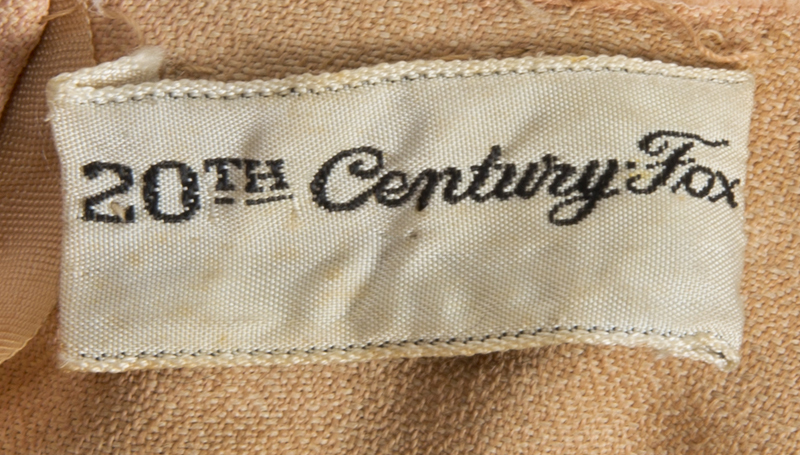 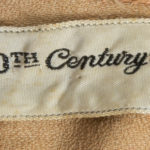 A 20th Century label with no inscription and a bias label inscribed “1-25-1-4692 M. Monroe A-729-28” are present. 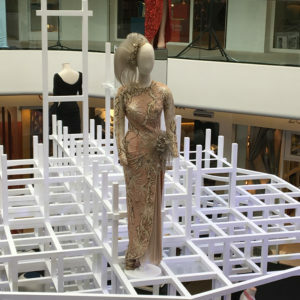 Costume design by William Travilla. 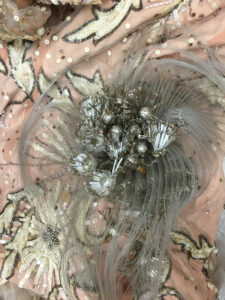 Accompanied a matching headpiece of silver and glitter flowers, accented with a spray of monofilament fibers with a bias label inscribed “1-25-4-4692 A729-29 M.Monroe.” Accompanied by a pair of strappy satin Pacelle Saks Fifth Avenue high heels that are not original to the costume. View Marilyn’s performance in the film here.